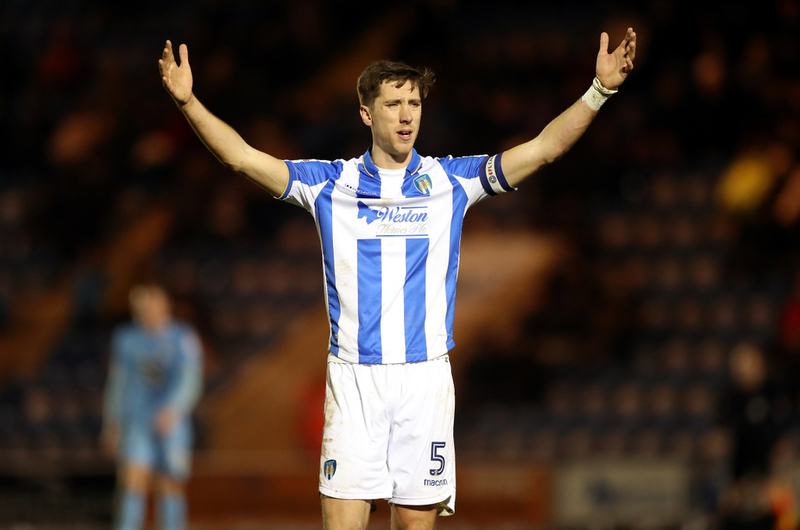 Colchester United welcome Grimsby Town to Essex on Good Friday as they look to continue their search for that final play-off spot in League Two. United come into this one having suffered another setback last time out, while Grimsby drew with Morecambe. The home side are favourites here. Colchester United are on the brink of blowing their play-off bid following a disappointing run of form which has left them looking up at seventh spot. Currently in ninth place, they are now five points off seventh with four games to go. Newport and Oldham below them are both potentially in a better position, each with a game in-hand less than one win behind. United did look strong contenders for the play-offs just a couple of weeks ago, but three defeats in four games has now put them in the 'outsider' category as we head into the final run-in. Last time out, they slipped up against Bury, adding insult to injury following defeat to potential play-off rivals Oldham. They did beat Cambridge before that, handing them their only win in four, but even that followed defeat to promotion contenders Tranmere. Colchester will see this one, and perhaps every one of their last four games, as a must-win. Slip-ups in recent weeks have left them with slim hopes of breaking into that top seven and they can ill-afford to drop more points. At home, they will be expecting to win here. The coveted Sammy Szmodics is Colchester's leading scorer with 11 league goals, followed by Frank Nouble on eight. It's been another rather forgettable campaign for Grimsby, but they are, at least, safe from relegation despite being placed as low as 17th in the League Two table. They are 13 points from the drop with only 12 points up for grabs. Their only aim now will be to achieve the best league position they can. Realistically, they could still finish as high as 14th, but 15th and 16th look far more attainable aims with this tricky trip the last of their particularly difficult games. Grimsby come into this one following a draw last time out. They conceded as late as the 80th minute only for Charles Vernam to rescue a point with two minutes remaining to secure Grimsby's League Two status for another year. They ensured Town picked up their first point in three games following defeats to Stevenage and Oldham. They are now nine without a win, dating back to the middle of February when they defeated Cheltenham Town. Needless to say, a draw would be a welcome result here. The experienced Wes Thomas is the club's highest scorer with 11 league goals.